Costume is a difficult and tedious profession to navigate on its own but the fact that most of it involves working as a “career-freelancer” has a huge impact on professionals’ finances, spare time and family. The BBC’s Sherlock and Lady Chatterley‘s Lover costume designer Sarah Arthur recently revealed the challenges she constantly faces. “You do lose out,” she told Prima. “I never arrange to do anything. I’ve learnt that. Whenever I agree to go to dinner, or on holiday even, I end up cancelling because I’m freelance. An amazing job may come along, and I’ve booked a week’s holiday the week before we’re due to film and I can’t go. The number of parties and dinners I’ve missed. But, I’ve had two children, so I’ve dipped in and out and done stuff to suit my life with the children. I made sure I wasn’t abroad or working away too much.” At 57 with a successful career of 35 years in costume it seems entirely unjust and yet unavoidable that Arthur doesn’t have the luxury of a dependable day job. That is complicated further when you bring fame into the equation. Big-budget films show the same costume designers time and again – see how Jacqueline Durran has been on two films nominated for costume design BAFTAS this year. That is perfectly understandable given these designers are among the best through years of hard graft, but for less-experienced or simply less-fortunate designers this demand is hard to find. While self-employment has its own pitfalls and time-consuming admin, artisans also have to maintain their own brand. 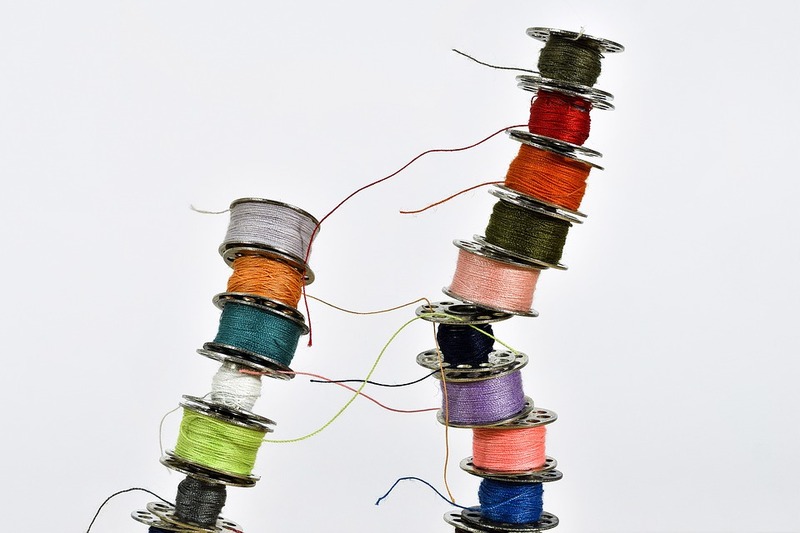 Skilled artisans end up spending ages on networking, digital marketing and other aspects of getting work. How much effort is involved in building a successful Instagram following? We all dream of our own studio to venture into but the reality is many of us having to factor workspace into where we live. Ultimately the way to survive is a “portfolio lifestyle” in order to keep up a sidehustle or two when big projects can’t be found. Even Gwen Russell who has designed for Michelle Pfeiffer in Dangerous Liaisons, Tom Cruise and Nicole Kidman as part of an incredible career runs a bridal couture business (Read her interview here). Meanwhile Clare Spencer told the Costume Rag about buying for Sands Films and 2012’s Anna Karenina but juggles academic work with a vintage business. Despite supplying to high fashion brands like Tom Ford and Chanel she still has to face the hard graft of setting up and taking down her full stall at antique and flea markets. 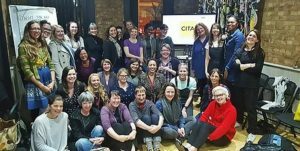 It’s quite simple that like many arts professions costume is seen as light work and, with a workforce that is largely female, misogyny is another burden faced often without people realising it. Catherine Kodicek is an activist promoting better work standards for people working in costume and set up the Costume in Theatre Association to raise awareness of workplace issues. In an article for the Stage she gave directors some simple resolutions to improve respect for the vital work of costume departments. “Don’t yell ‘dresser’ or ‘wardrobe’ at a passing woman wearing black unless you would also shout ‘sound’ or ‘sparks’ at a passing man dressed in cargo trousers or carrying a screwdriver,” she said. 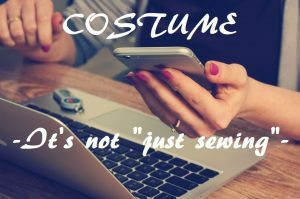 If these hard truths leave you in need of motivation, see some more upbeat essentials to survive the costume world!